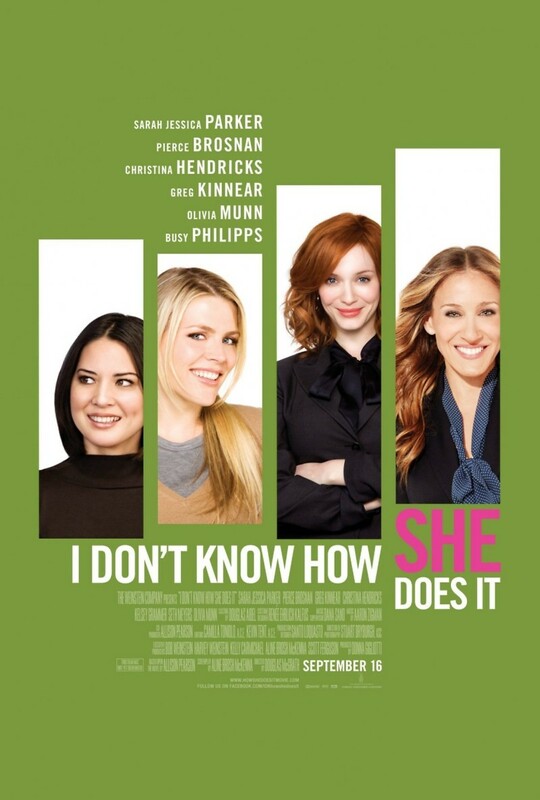 I Don't Know How She Does It DVD and Blu-ray release date was set for January 3, 2012. It takes a village to raise a family, but Kate Reddy just relies on herself and her eclectic friends to boost her morale. With an unemployed husband and two children, Kate busies herself all day at work to return to a chaotic home. She tries to balance the modern dilemma of home and family, but often comes up short at the end of the day. Things are looking up for her husband with a new job in the wings, but Kate has an opportunity that allows her to travel with a lucrative salary. With one friend that excels at modern child rearing and another that abhors kids, Kate must search for her own personal balance as work and home stresses slowly combine. Being the perfect wife, mother and breadwinner takes its toll.